October through December were fun and full months for Paul and I! Paul competed in his first tournament and both of us tested twice to advance to our next belts: Paul went from orange to yellow and then cammo (recommended), and I went from white to orange, then to yellow. 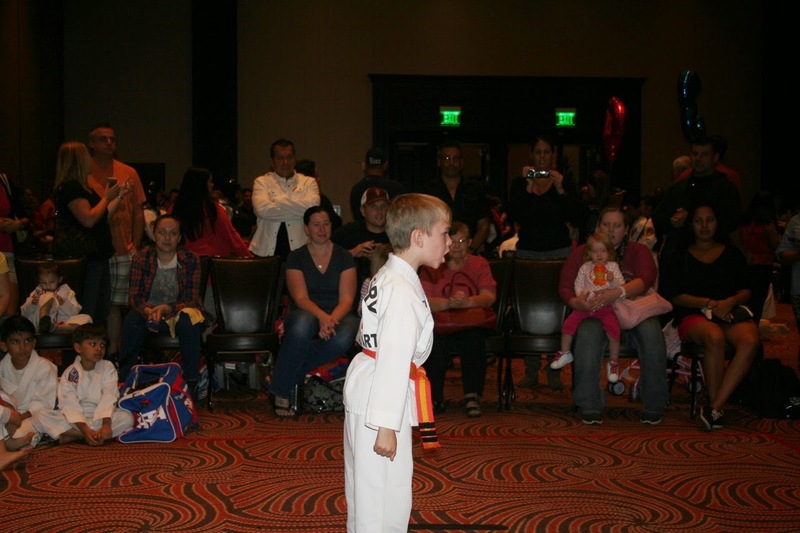 All four Victory Martial Arts schools in the Las Vegas valley came together for a city-wide tournament on October 18th. With approximately 300 participants and four rings, it was a crowded blast! Right after the tournament was announced, we asked Paul if he wanted to participate and with his nod of approval, we signed him up for two events: traditional forms and traditional weapons, knowing these were two events he could perform well in, even if he was nervous. The goal was for him to do something new, and build his confidence and self-esteem while having fun. The morning of the tournament Paul went through an anticipated round of nerves, and we had to remind him we expected him to do what he committed to do. Once he realized he wasn’t allowed to just back out, he began to relax. Then after a few of his friends arrived, he shook off the nerves, found his confidence and was ready to compete. 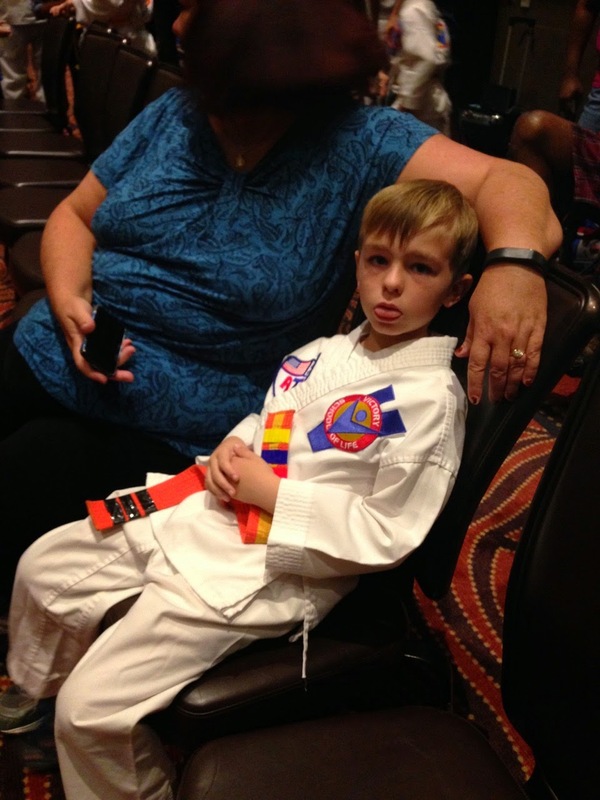 Since this was his first tournament, everything about it was new. Paul had to line up with the other beginner kids he was grouped to compete with (and without Steph and I). This refueled a few nerves but by that point his enthusiasm and confidence was in control. As his line walked in, they announced them and directed them to their ring. Steph, her parents and I had seats at Paul’s ring and the competition began. He performed his empty handed form as well as he’s ever done it, and made us proud. He did a great job entering and leaving the mat, and showed all the proper respect to the judges. After completing his form, he sat and cheered for his friends, then prepared to do his traditional weapons form with the Jahng Bong (Bo Staff). Even though it wasn’t the weapon he was currently training with, Paul chose to use it because he was already comfortable with the form and most other competitors would probably be using the current weapon (the baton-like Bahng Mahng Ee), allowing him to stand out a bit. As it turned out, he was the only one in his group using the Jahng Bong and he stood out in a good way. The first real surprise came when the first in his group was called up to perform with her weapon. Like Paul, she was prepared to perform a trained set of moves (a traditional form). When she was ready, the center judge told her, “you have 30 seconds…begin!” She completed her form comfortably in 10-15 seconds and waited at the end for the next command from the judge, only to hear him say, “you still have 15 seconds…keep going!” It was clear at this point that whatever the kids were going to do, they had to fill the time (or the remaining time) with a creative weapons performance. 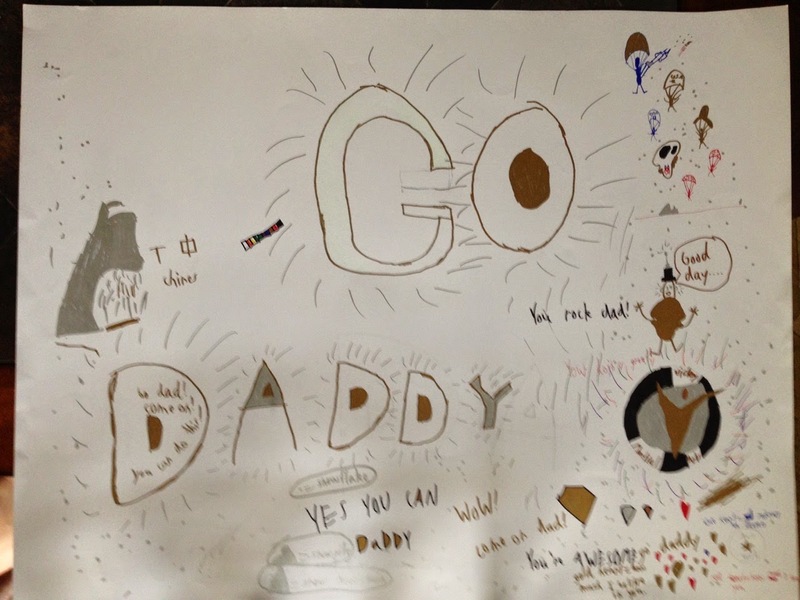 It was a surprise for parents and kids alike, but she didn't miss a beat and finished strong. I looked at Paul to see if the change was going to trouble him, but he remained excited and confident—I honestly wasn’t sure if he didn’t realize there was a change, or was confident enough not to be bothered by it. Steph and I had no idea what he would do once he took the mat. He could perform his traditional form a couple times, traditional form once, then some creative moves, or just wing the whole thing and perform creatively for 30 second. He did the latter and it looked like it was his plan all along, and his score for this was higher than his empty-handed form! At this point, he was done with his events and could relax, continue to cheer for his friends and enjoy the rest of the day. The next event that followed was board breaking and before we knew it, Paul was signaling us and silently mouthing, “I want to break boards!” So much for the earlier nerves and a lack of confidence! Since we didn’t register him for board breaking, he wasn’t able to perform, but I suspect he will during the next tournament! Sometime about mid afternoon, we headed home and that evening he slept like a rock. On October 21st I tested for the opportunity to move from white to orange. It was an exciting time for me after training for two months. As mentioned in an earlier post, resuming martial arts training after over 30 years is exciting and quite a challenge. The mind remembers, but a 50 year old body doesn’t behave quite like the mind may want it to. The training is challenging and fun and this is a deliberate first step in my own journey toward black belt—a chance to finish what I started so long ago. 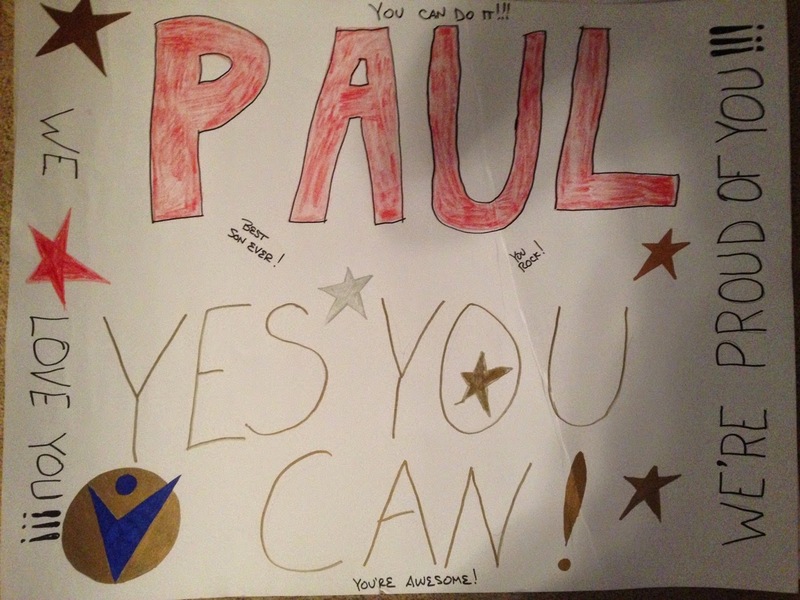 I passed my test and what made it most special was having Steph and Paul there cheering me on, and Paul holding up a totally cool sign he made to motivate me. Two days later it was Paul’s turn. Steph, her parents and I were there to cheer him on. With a sign we made for him, and a cowbell to make some noise, we watched our young man approach the challenge as a totally different guy than two months prior when he tested for his orange belt. With several more months of training under his belt, being selected for the Leadership Program, and being bolstered by the experience of the tournament, he was completely confident. (When he tested for orange belt, it was quite an effort to keep him calm and cut through his worry.) He tested very well and passed without any issues. 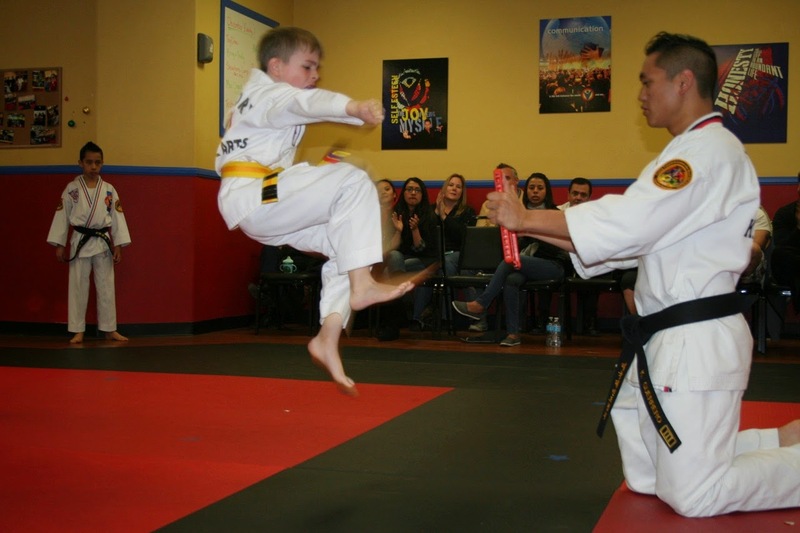 We’re definitely proud that he’s continuing to advance and enjoy martial arts, but we’re most proud of him for the incredible amount of confidence he’s gained since he began. The Belting Ceremony (Graduation) was fun and well done as always. With the school decorated and students in clean, white uniforms, Paul and I were called up at the appropriate times to receive our belts. Then family members were allowed to join the students on the floor to help remove the old belts and tie on the new. Stephanie joined Paul and I and with our new belts loosely tied around our waists, Paul and I held one end of each other’s belts and Steph held the other two ends. When the time came, we all pulled and tightened the new belts! With the ceremony over, the celebration continued with food and music. Then in December after another training period it came time to test again. Paul worked hard toward his cammo belt and I did the same to advance to yellow and we both passed again! Due to travel I was unable to test with the group I was supposed to , but consistent with our school’s emphasis on family, I was able to test with Paul the evening I returned from my trip. It made an already special event even more special for the both of us. 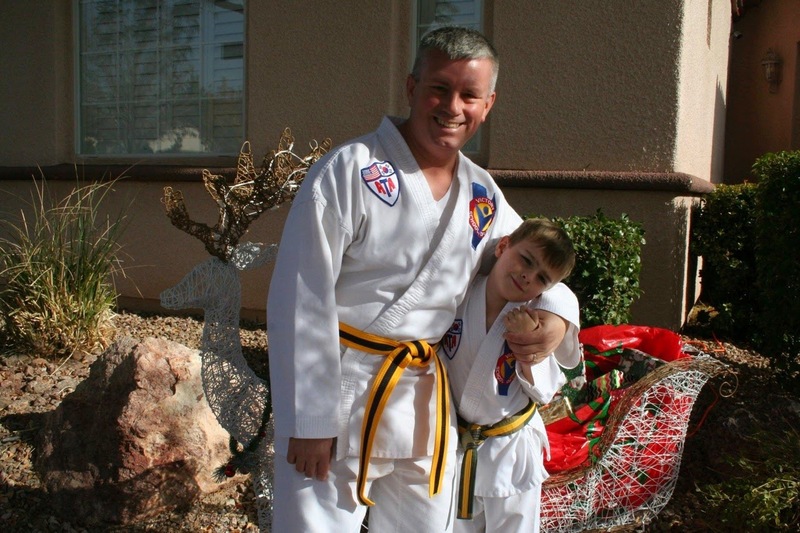 Earning cammo, is significant for Paul as it moves him from beginner ranks to advanced. At this point the learning, rigor and expectations increase for him individually as well as his involvement as a leadership student ratchets up as he starts helping the school’s instructors with the kids’ beginners class. As for me, I continue to remind him I’m racing him to black belt! Steph and I owe genuine thanks to our martial arts instructors, Mr. DeSmith, Mr. Guerrero and Mr. Daos. These three men and our fantastic Program Directors (Mrs. Garretson along with Miss Bivins— both also black belts!) 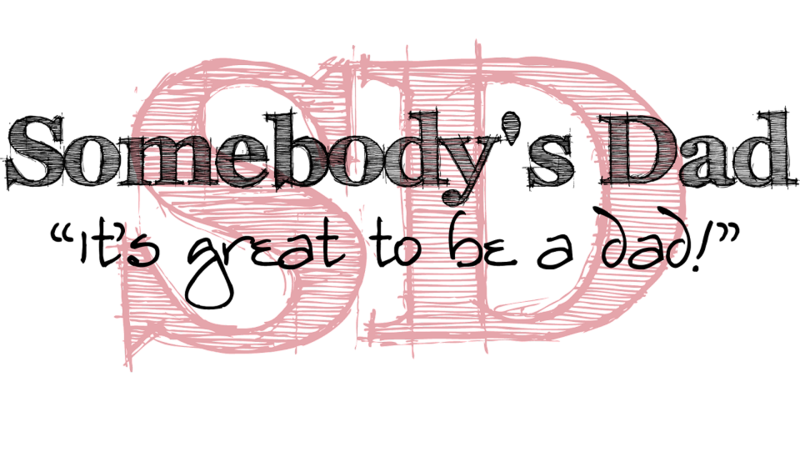 do a great job, as does the rest of the Victory Summerlin team of leadership students and black belts who are always there helping the beginners. 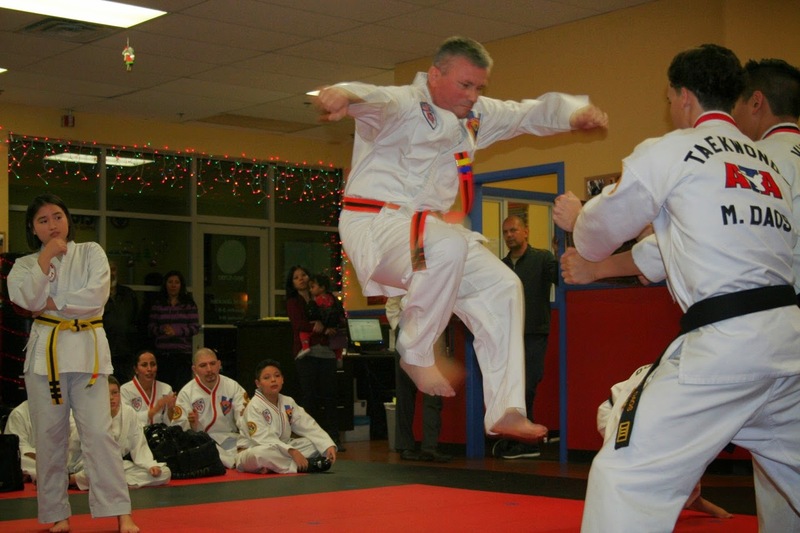 It’s a gift to be able to push kids and adults to their limits in a way that provides an important part of what they need for success in martial arts and in life, while keeping it fun at the same time. As a footnote, we learned that Mr. Daos was selected to travel and perform with the Marvel Universe Live. (Now we can say we know Spiderman!) We’re sad to see him leave so soon, but in his place we gained another awesome instructor, Mr. Scott. As a family we’ve all already benefitted from his expertise as he moved right in and started instructing as if he’d been there all along. Steph and I look forward to watching our son continue to grow in the best of ways physically, mentally and emotionally. 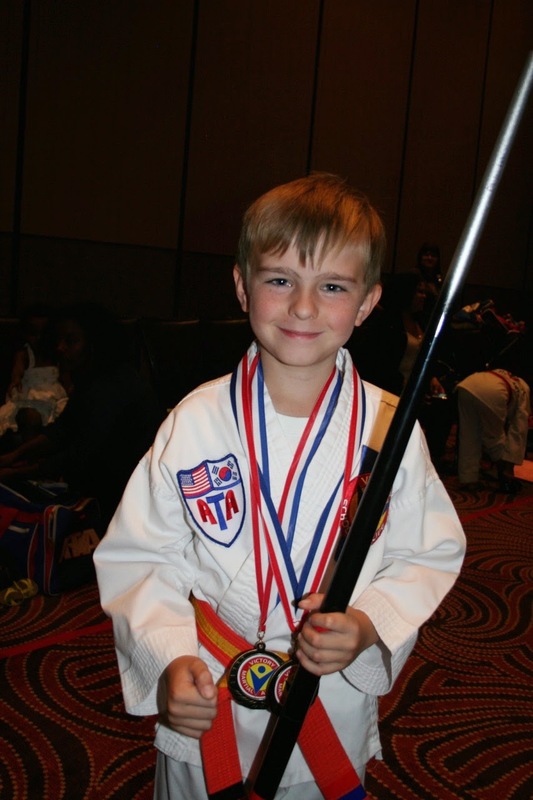 Adding martial arts, and specifically the Victory Martial Arts’ program under the American Taekwondo Association, into his life alongside his academic education is truly preparing him for the years to come. And speaking of Steph, she’s joined us in our journey and is training now as well. We all test for our next belts in February: came (decided) for Paul, came for me, and orange for Steph. 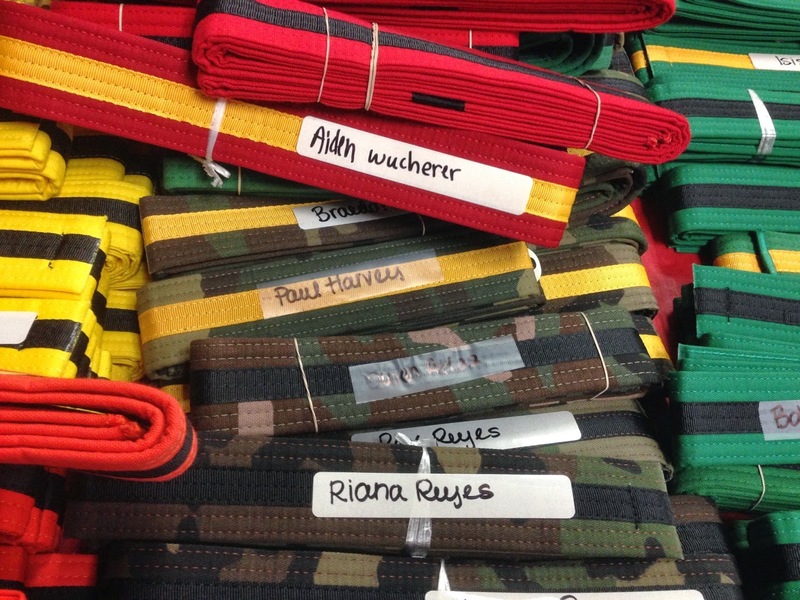 Victory Martial Arts has truly become a family affair for us!